Andy McIllray and Tom Dayton are a well-matched couple in their thirties, happy after four years together. Andy has a high-flying job with an international organisation while Tom has given up unrewarding work in catering to look after the smallholding they have bought in Berkshire. 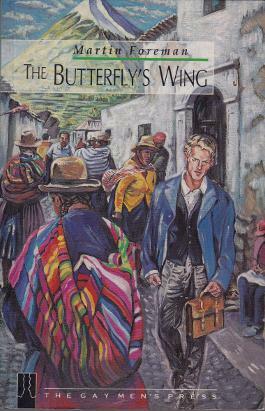 Disaster strikes when Andy's work takes him to Peru, where he is kidnapped by the Shining Path guerrilla movement. Tom not only has to deal with Andy's absence but with the intrusion of the tabloid press, which has far-reaching consequences. An ambitious novel cast in the form of two diaries which record the torment both men are thrown into and which forces them each to face hidden truths about themselves and their relationship. Written in the 1990s, the story weaves major issues of the world at that time with personal agonies as it moves towards its dramatic denouement. Published by Gay Men's Press in 1996, the few remaining copies are distributed by Arbery Books at the reduced price of £5.00 to reflect minor damage that may have been caused in storage. "a powerful piece of fiction"